Google News is ditching Spain because of the terrible Google tax. Google Chairman Eric Schmidt cover his mouth during an advisory council about the right to be forgotten at Casa de America on Sept. 9, 2014 in Madrid, Spain. Google News, responsible for aggregating news media and making it searchable for users, will soon become unavailable in Spain. The reason why is maddening: Starting Jan. 1, recently enacted Spanish legislation will require the search giant to pay the publications it links to. For previewing their articles. In addition to the article title, Google News offers a small content snippet, beckoning users to click on the link visit the news site. For that, the Spanish government believes, they should pay the publisher. You can furrow your brow and scratch your head now. The foolishness of the legislation is painfully obvious. A newsstand in the town square will do little business without pedestrian traffic, even with a beautiful display of different publications. But imagine a system in which each newsstand vendor must pay surcharges to each publisher for displaying parts of their front pages. With Google News, this vendor is nothing but an algorithm. Inasmuch as published content generates revenue, Google News only serves to drive traffic directly to the publishers’ websites. So what’s the deal? Spain (and the European Union as a whole) have long been at odds with Google. Earlier this year, the European Court of Justice struck a blow against the search giant in Google Spain v AEPD, establishing an EU-wide “right to be forgotten.” The ruling came after Mario Costeja González—a Spanish citizen embarrassed by a 1998 newspaper story detailing his social security debt—lodged a complaint because the story showed up in search results for his name. The ruling has since been criticized as dangerous to free speech, hindering user access to information and leading to possible censorship. In September, the European Commission threatened Google with a $6 billion anti-trust fine. In November, European Parliament held a symbolic vote to break up the company. Richard Gingras, who heads Google News, expressed regret in a blog post today regarding the new legislation, often referred to as the “Google tax.” “Publishers can choose whether or not they want their articles to appear in Google News—and the vast majority choose to be included for very good reason. Google News creates real value for these publications by driving people to their websites, which in turn helps generate advertising revenues,” he explained. Gingras says that publications will be required to charge Google for news previews, whether they want to or not. Google News will leave Spain on Dec. 16. All Spanish-based publications will be removed from other Google News sites. Similar legislation in Germany caused a dramatic decline in Web traffic to involved publishers’ sites. But at least German publishers can choose whether or not to charge Google for featuring news snippets. At least one publisher that opted for payments quickly did an about face when traffic tanked. In Spain, knee-jerk anti-Google sentiment seems to be giving way to thoughtless legislation. So adios, Google News. In this case, no news is not good news. 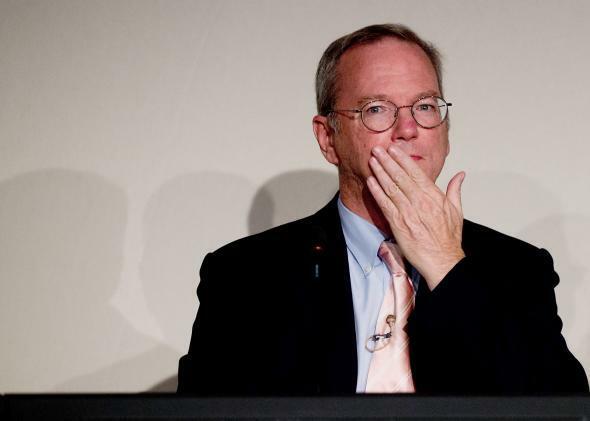 Disclosure: Google Chairman Eric Schmidt is the president of New America’s board of directors.